The Mansfield KEEPS Mentoring Program promotes and supports continual professional development. We have provided our program members with several invaluable books to help develop and implement effective procedures, instruction, and professional growth. Harry K. Wong & Rosemary T. Wong (20014) The Classroom Management Book. Summary: The Classroom Management Book is a solutions book. It shows how to create a safe and positive environment for student learning and achievement to take place. How is it utilized in the KEEPS program? Julie G. Thompson (2013). The First-Year Teacher's Survival Guide. How it is utilized in the KEEPS Program? Summary: This book shares a simple plan for dramatically improving the effectiveness of classroom instruction. 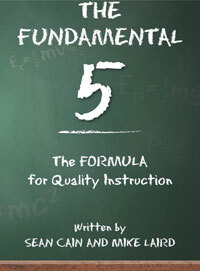 The explanations and strategies for implementing the “Fundamental Five” are at the heart of this book. Summary: This book practical, innovative, and powerful methods to enliven classroom and ignite a passion for learning in each and every child. It is time to “GET ON THE DESK” AND MAKE EVERY SCHOOL in America the absolute best it can be. 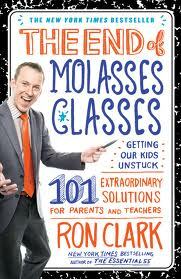 Quote from Jeanne Helton, Year 2 KEEPS*PEEPS about this book- "I just wanted to thank you so much for passing along that Ron Clark book at the last KEEPS meeting! I have been totally sucked in and read it between bouts of laughing and crying!" Rutherford, Paula. (2009). Why Didn't I Learn This in College? 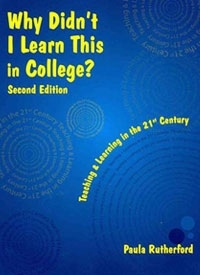 Teaching Learning in the 21st Century. Alexandria: JustAskPublications. Summary: This book provides the Mentee with a wide array of strategies for actively engaging students, gathering pre-assessment data, integrating literacy across the curriculum, developing vocabulary, checking for understanding, building a classroom learning community, and scaffolding instruction for diverse learners.